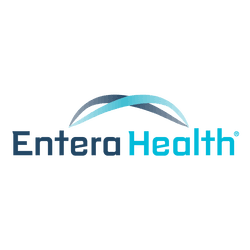 BOVINE IMMUNOGLOBULIN PROTEIN ISOLATES FOR THE NUTRITIONAL MANAGEMENT OF ENTEROPATHY - Entera Health, Inc.
Entera Health, Inc. Announces the Publication of a Scientific Article Summarizing Preclinical and Clinical Studies Evaluating the Ability of Serum- or Plasma-Derived Protein Preparations to Promote Intestinal Health and Recovery from Intestinal Disorders. Entera Health, Inc. announced today the publication of a new scientific article in the World Journal of Gastroenterology (WJG) supporting the potential benefits of EnteraGam™ (serum-derived bovine immunoglobulin/protein isolate, SBI) in restoring intestinal homeostasis (e.g. gut barrier function, immune regulation) following episodes of enteropathy associated with human disease conditions such as HIV infection, inflammatory bowel disease (IBD), or irritable bowel syndrome IBS). Authors include Bryon Petschow, PhD; Anthony T. Blikslager, PhD; Eric M. Weaver, PhD; Joy M. Campbell, PhD; Javier Polo, PhD; Audrey L. Shaw, PhD; Bruce P. Burnett, PhD; Gerald L. Klein, MD; and J. Marc Rhoads, MD. The study’s purpose is to evaluate the safety and effectiveness of oral nutritional therapy Serum-Derived Bovine Immunoglobulin (SBI) on nutritional status, epithelial barrier function, and mucosal expression of pivotal genes including tight junction, secretory mechanisms, tissue repair proteins and chemokines in subjects with IBS-D.
1. Asmuth DM, et al. Oral Serum-Derived Bovine Immunoglobulin Improves Duodenal Immune Reconstitution and Absorption Function in Patients with HIV Enteropathy. AIDS. 2013;27:2207-2217. 2. Wilson D et al. Evaluation of Serum-Derived Bovine Immunoglobulin Protein Isolate in Subjects with Diarrhea-Predominant Irritable Bowel Syndrome. Clin Med Insights: Gastroenterol. 2013:6:49-6.